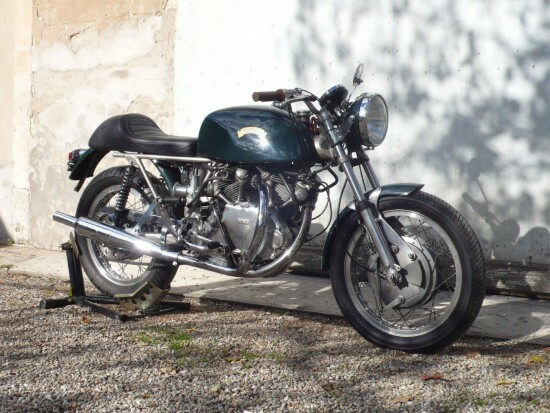 Today’s 1967 Egli Vincent is a very rare machine, with just 200 ever built. 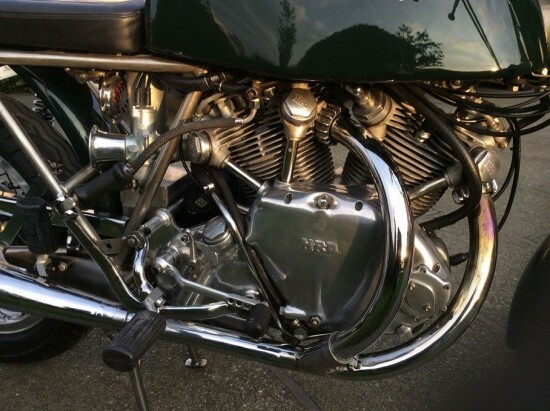 In the 1960s, motorcycle frame design was still something of a black art, and a whole cottage industry sprung up to support the folks looking to make their motorcycles handle better. Companies like Rickman, Spondon, and Dunstall set up shop, sometimes literally in a shed in the backyard, to construct stiffer, lighter frames than the factories seemed able to produce. 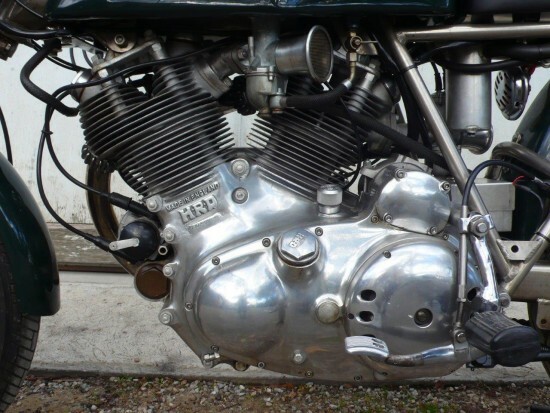 Fritz Egli, a former motorcycle racer started out by creating his first re-framed Vincent from his very own racebike. That bike was designed to compete in hillclimbs and was used to win the Swiss Open Class Championship in 1968. Adding a frame to the Vincent Black Shadow might seem like a retrograde step, considering the “C” models were basically frameless. But Egli’s design added stiffness and kept weight down, while allowing the use of a more conventional telescopic front fork. Girder front forks are theoretically an improvement over a telescopic design, but the original Vincent parts have a reputation for instability, likely because period dampers hadn’t yet reached the required level of sophistication. Certainly, a conventional telescopic unit would allow the bike to be more easily set up for racing and the fitment of more modern brakes, both of which would be priorities for a racing machine like the original Egli Vincent. More than 3,000 Egli-framed bikes were produced in total, but very few feature Vincent’s iconic and very beautiful 50° v-twin. Some of his most stunning creations were based around Laverda and Ducati powerplants but those bikes generally handled pretty well straight from the factory. 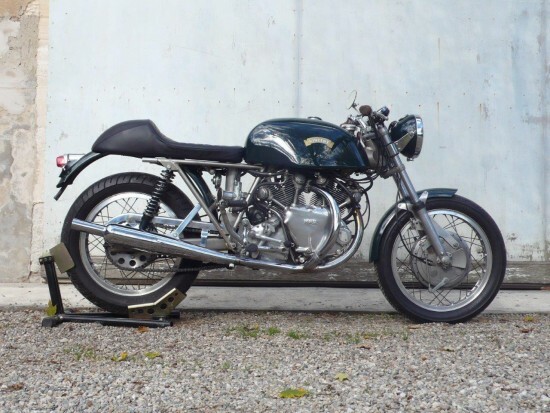 Like other frame builders, Egli found the most financial success building new frames for the affordable and powerful Japanese fours, although he also built frames for the six-cylinder CBX and even the wild-and-wooly Kawasaki two-stroke triples. A fantastic opportunity to buy an ICON. Fitted with desiderable HRD serie B engine, Black Shadow speedo, touring set up, centre stand for easy starting, this is the perfect bike for the rider. 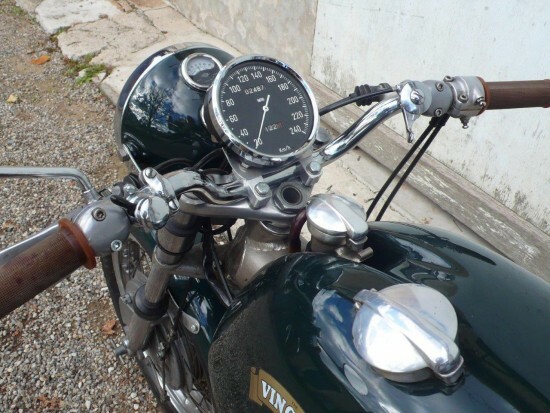 It is just serviced and UK registered as 1967 Egli Vincent. Ride, parade and collect! Bulletproof investment. There are a couple days left on the auction, with bidding north of $20,000 and the reserve not yet met. 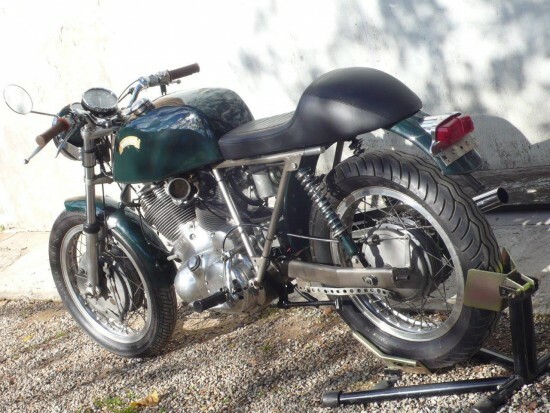 This is far less than you’d likely spend on an original Vincent and it possesses all that bike’s character and charm in what is likely a far more usable package, with additional rarity thrown in as a bonus. This might be one of the most beautiful bikes I’ve seen. Everything about it works. The lines, the proportions, everything! I’d give my left . . . kidney for this. All it needs is a big white-faced tach. This seller just keeps coming up with these “dream” motorcycles. I would like ti know the story about him. So Tad, would a large black faced 240 Km/H speedo make a good replacement for a white faced Veglia tacho? i’m the “seller” :).. there is no strange stories about me, just 20 years of this business that i love, made of good relationships. This is crucial to get and sell all these dream bikes. I don’t think you should take any kind of negative inference from sr88’s comments. You come up with some pretty amazing/exotic iron. Keep it up, and if you decide to open an outlet in the Boston (Mass) area, let me know. No problem. . . . Nothing negative intended. You have been listing the most amazing motorcycles on ebay. It is a pleasure to see them, I can see why you love your business! Do you get to ride the bikes you are listing on ebay? FWIW, Fritz not Felix. Agreed, an amazing machine. Yikes! Sorry, good catch! Updated.